Offering a complete range of modern facilities, these spacious executive suites are available now. Superbly located next to the Tulsa Country Club, Highways 244 and 444 are close by for good transport links to the surrounding areas and downtown. Clients also benefit from close proximity to several parks and local businesses. Fully visible from the bustling Memorial Drive thoroughfare this premier mixed-use development is located on an eight-acre business park. Flexible office spaces range in size to make it a suitable base for start-ups and multinational companies alike. The locality features a number of excellent and highly convenient transport links throughout the area, making the center easily accessible for both clients and visitors. Southeast Tulsa’s most prestigious professional building has light and airy offices now available to lease. All executive suites come fully furnished and equipped with state of the art technology, and clients benefit from complimentary use of the plush onsite conference room. I-169 is only moments away for easy access to the huge variety of local amenities and downtown Tulsa. Th local transport links are also highly convenient and make the center easily accessible. Presenting one of Tulsa’s most comprehensive business centres with a spectacular range of fully equipped executive suites. Each space is wired with the latest technology, and clients benefit from the onsite support staff’s personalized attention. 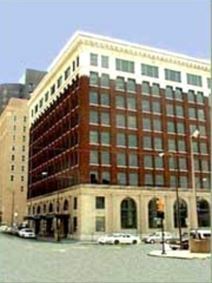 Downtown Tulsa and the vibrant surrounding area are in close proximity for easy access. 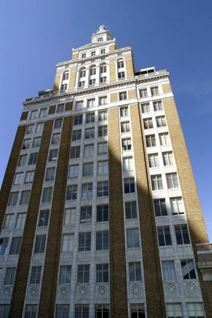 This center is located on the third floor of this local landmark building, which a number of leading energy, law, and technology companies call home. It is in the heart of Tulsas CBD and is surrounded by a number of cafes and restaurants. This business center, close to the Civil Center and State and Federal Courts, has premium office space available with conference facilities and lobby area. The building provides an ideal business environment. Internet access, telephone system, and copy, fax and postage facilities are also available. 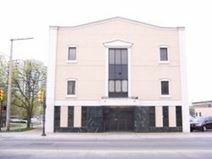 This business center has office space available, with extensive technology facilities such as high speed internet, telephone and copying, fax and postage equipment. The center is located close to the Civil Center. In the stunning rolling hills of the desirable and idyllic south of Tulsa; this technologically significant, innovative and advanced co-working and private flexible office space setting provides an open, collaborative environment to work from, only 20 minutes from both downtown and Tulsa International Airport. The site offers an ideal working environment nurturing both productivity and creativity, with excellent transport links and local amenities nearby.